Last year I started a cool idea with a friend together and although the idea was pretty basic, it took me months to implement the first version. Your favorite tech combinations is back! 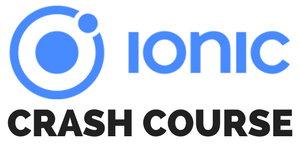 Firebase continues to be the leading hosting platform in Ionics 2018 Developer Survey and it’s no wonder – getting started is super easy and you get the benefits of a real backend in only minutes! We’ve seen many Firebase realtime apps with chats, shopping lists and the classic todo list. But there’s so much else that can benefit from the live updates and sync of your data. What if we could visualise Firebase Data? Building an Ionic Twitter App is really interesting, and from the number of responses and the times how often I’ve written a Twitter post I’m pretty sure this updated one for Ionic 3+ is really needed. If you are familiar with WordPress you know that since a few versions ago all instances have a public REST API. Of course I had to jump in when I saw a new WordPress API wrapper library for Angular 2+, created by the awesome Julien Renaux which we will use to build our Ionic WordPress App!